A world without the cross …. While the cross is an instrument of torture and suffering, it also represents the triumph of God’s love over evil, says Pope Benedict XVI. “That is what makes it the most eloquent symbol of hope that the world has ever seen,” he affirmed. “It speaks to all who suffer — the oppressed, the sick, the poor, the outcast, the victims of violence — and it offers them hope that God can transform their suffering into joy, their isolation into communion, their death into life. 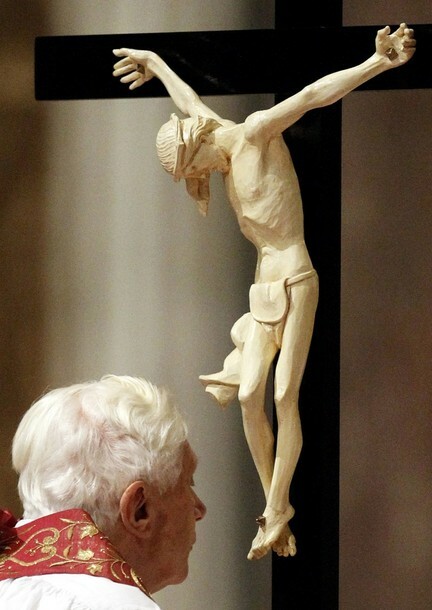 Benedict XVI affirmed that “the world needs the cross”: “The Cross is not just a private symbol of devotion, it is not just a badge of membership of a certain group within society, and in its deepest meaning it has nothing to do with the imposition of a creed or a philosophy by force. “A world without the Cross would be a world without hope,” he continued, “a world in which torture and brutality would go unchecked, the weak would be exploited and greed would have the final word. Man’s inhumanity to man would be manifested in ever more horrific ways, and there would be no end to the vicious cycle of violence.